A Heat Exchanger is a component that allows equipment to transfer heat (or lack thereof) from one medium to another. 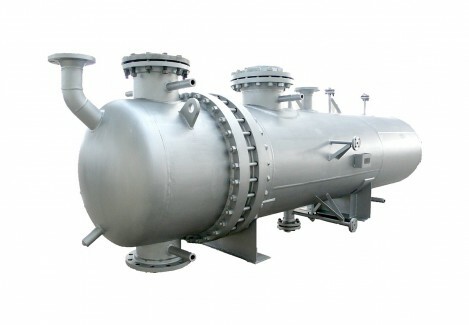 While Heat Exchangers can be found in industries/applications such as power plants, petroleum refineries, natural gas processing, refrigeration and air conditioning, and sewage treatment, the classic use of a Heat Exchanger is in combustion engines. This time-tested example of a Heat Exchanger is the relationship between the radiator, coolant, and incoming/outgoing air. As engine coolant circulates within the radiator coils, incoming air flows over the coils, which cools the coolant and spits out the heated air. Heat Exchangers can come in many shapes and forms (see Heat Sink for example), and can be found on just about anything that uses a direct power source.